"I saw the crash begin in front of me and it was already too late for the brakes." 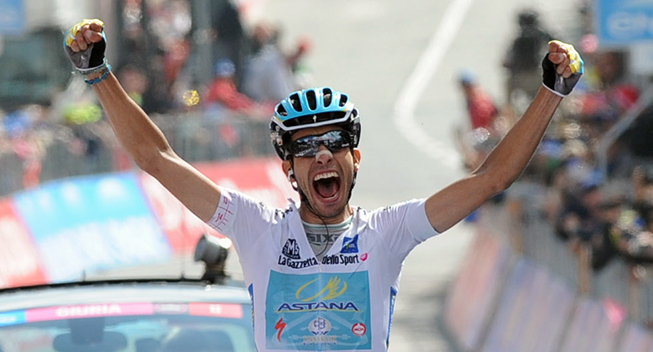 Those were the words of Astana's Fabio Aru after stage two at the Tour de Pologne. Aru found himself on the ground 150m from the finish after a chaotic mass crash at 60k/h brought down most of the favored sprinters, including Andrea Guardini. Neither Guardini nor Aru reported any serious injuries beyond superficial road rash that will ease in the coming days. All riders in the crash received the same time as stage winner Matteo Pelucchi of Italy, with German rider Marcel Kittel holding onto the leader's jersey overnight once again.